Unionist politicians are out of touch with their voters when it comes to LGBT rights, an MLA has said. 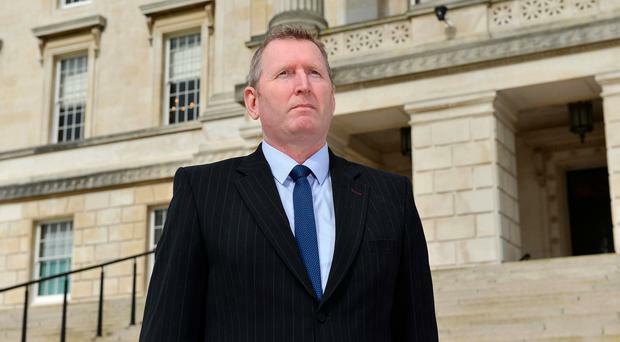 Doug Beattie, who heads the Ulster Unionist Party's LGBT+ working group, also condemned gay conversion therapy, and said the Government must ensure that any future ban on the practice extends here. It came after Theresa May announced a £4.5m LGBT action plan, part of which aims to ban the controversial practices. "I would like to see a ban on gay conversion therapy here," said Mr Beattie. "I would call on Prime Minister Theresa May to extend any ban to Northern Ireland as we do not have a sitting Assembly. "There has been a lot of commentary on Arlene Foster attending the PinkNews event. "I would say that you can't just turn up and get your photo taken. "You have to build the foundations of a relationship with the LGBT community and there needs to be tangible action." He said unionists should no longer argue that unionism meant intolerance towards gay people and alternative sexualities. "They're out of touch with the people they represent on this issue," he insisted. Green Party MLA Clare Bailey also called for a ban on gay conversion therapy to be extended here. And chairwoman of the Royal College of General Practitioners (RCGP), Prof Helen Stokes-Lampard, said GPs here had been at the forefront in condemning conversion therapy. However, Mike Davidson, director of the Ballynahinch-based Core Issues Trust, which provides gay conversion therapy, said a ban would simply "force it underground" and "increase demand". "I totally oppose any extension of a ban on gay conversion therapy to Northern Ireland, although it may need regulation," said the father-of-two, who underwent the therapy and has been married for 38 years. "I hope that the people of Northern Ireland will realise just how much of an affront this is to people who are being discriminated against who are ex-gay." The Department of Health welcomed the publication of the national LGBT action plan, which it said "covers some policy areas that are devolved". It added: "It will be for a new Executive to decide how best to take forward this action plan within NI. "The department does not fund any organisation to carry out reparative or conversion therapy on lesbian, gay, bisexual or transgender individuals and statutory services within the HSC do not prescribe reparative or conversion therapy."